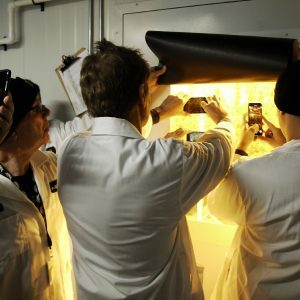 It should come as no surprise that the first European grow shop — a store that sells everything a cannabis grower needs — cropped up in the Netherlands. 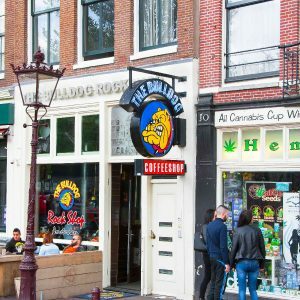 The year was 1985 and the proprietor was none other than Wernard “The Potfather” Bruining, who opened Amsterdam’s first coffee shop, Mellow Yellow, in 1972. Bruining called his new store Positronics. Located in Amsterdam’s De Pijp district, Positronics — and its associated Sinsemilla Fan Club — has become the stuff of legends. Many of the pioneering cannabis growers, including refugees of the American war on drugs, spent countless hours at the cozy shop discussing the wonderful new world of Nederwiet, or Dutch weed. “We will turn the Netherlands into Europe’s Jamaica,” Bruining declared. History would prove The Potfather right. The 1990s were the golden years for Dutch cannabis. Thanks to hallmark strains like Skunk, Orange Bud, White Widow and Silver Haze, domestic cannabis rapidly became more popular than imported hash. There was a boom in the number of growers, many of whom consumed part of their harvest and sold the rest to local coffee shops. Magazines like Highlife and Soft Secrets spread knowledge about cultivation, and grow shops provided the products. In those days, a new grow shop seemed to open about every week, from small inner-city stores to huge cash-and-carry establishments in industrial areas. 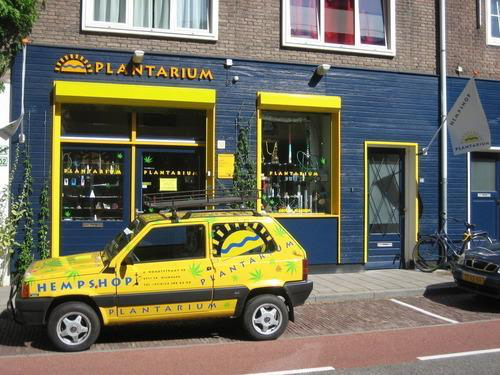 Plantarium, founded in 1993 by Ed Gerritsen in the eastern city of Nijmegen, was a small shop from the beginning. Even during the golden years of Dutch coffee shops in the 1990s, Gerritsen focused exclusively on small-time home growers. For example, if a customer were to come in to buy 20 HPS lights, they were simply told they’d come to the wrong place. Years later, this philosophy would prove to be key for Plantarium’s survival. Around the turn of the millennium, there was a general political backlash against cannabis and grow shops in the Netherlands were frequently raided by the police. Some of those shops served as a link between growers and coffee shops, which is hardly a surprise if you consider there was — and still is — no regulation for the production or wholesale of cannabis to supply said coffee shops. And while there has always been a majority opinion in the Dutch Parliament to keep the coffee shops open, grow shops lacked such political backing. For years, the Christian Democratic Appeal party pushed for a law to ban grow shops outright, but this position posed some practical problems. If a law is made to ban grow shops, what happens when these shops simply change their name? And if a broader law is made to ban the sale of agricultural products like soil, plant pots and grow lights, how do stores that have nothing to do with cannabis circumvent that law? To further complicate matters, adults who grow no more than five cannabis plants for personal use are usually not prosecuted if they give up their plants to the police, per the Dutch tolerance policy. In March 2015, the so-called grow shop law finally came into effect — aimed at the “large-scale, professional” cultivation of cannabis, according to then-Minister of Justice Ivo Opstelten. First of all, criminal offenses in this law are very difficult, if not impossible to prove. 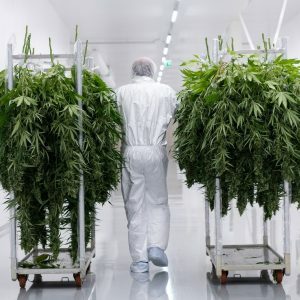 As of March 1, it is no longer allowed to sell goods if, in short, the seller knows or can reasonably assume these goods will be used for the cultivation of cannabis. But how will police prove this? If the owner of the grow shop, the seller, doesn’t say anything about it, then this seems almost impossible. The law then acquires a symbolic nature: pure muscle flexing, not meant to be effective. As far as I’m concerned such legislation, window-dressing really, might as well be chucked in the bin. 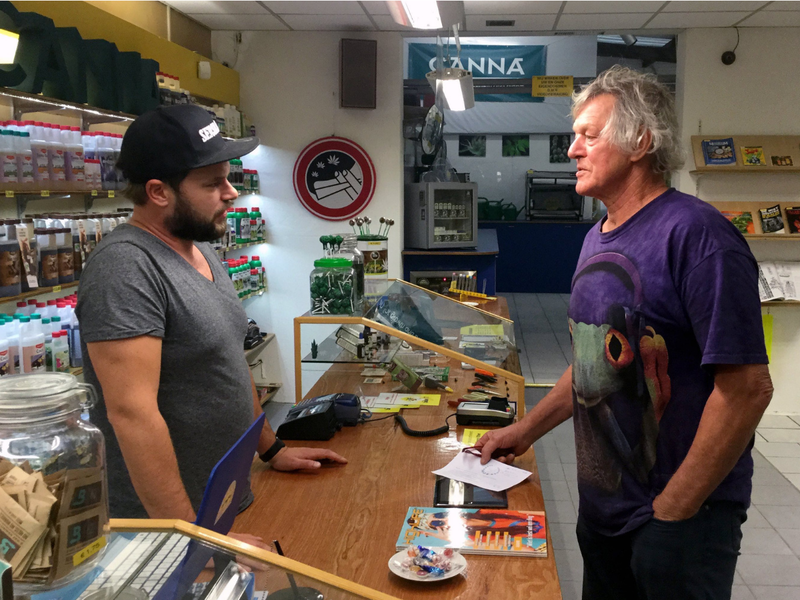 The court has acquitted the resident of Nijmegen (Ed Gerritsen), because he has provided sufficiently substantiated evidence that his shop is aimed at the medicinal user and the hobby grower, who has a maximum of five cannabis plants. The Public Prosecutor did not put anything forward that disputes this substantiated claim. Gerritsen is still battling for financial compensation — police destroyed everything they took. He and his team never lost their fighting spirit, as they strongly believe in what they do. Siers has an interesting backstory. Before entering the cannabis industry, he worked for the police for six years, three of which were spent in training. After a while, Siers started feeling less and less at ease. To help pay for his studies, Siers took a part-time job at Plantarium. And it didn’t take long before customers were asking him about medicinal cannabis. Plantarium can rightfully claim to be one of the few 100-percent legal Dutch grow shops. A lot of grow shops have been closed down, and most of the ones that remain avoid the name “grow shop” like the plague. But not Plantarium. A typical workday for Siers includes a number of consults with patients who grow their own medicine. 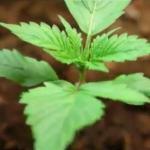 Plantarium keeps track of the strains patients grow, what conditions they use them for, and the results. This has grown into a large database, covering a wide range of conditions. 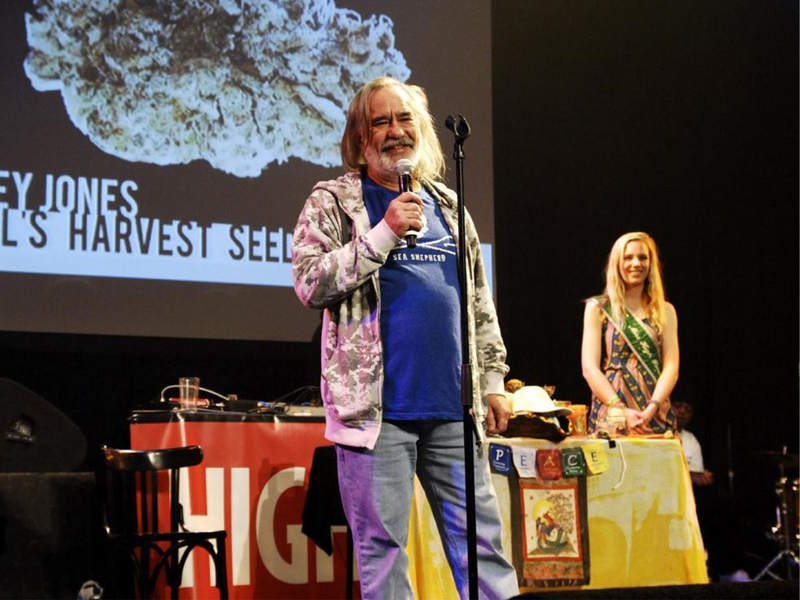 Siers took his knowledge on the road in 2018, giving a series of lectures about medicinal cannabis in 10 cities across the Netherlands. Looking back, Siers is especially happy that doctors and pharmacists attended every seminar. 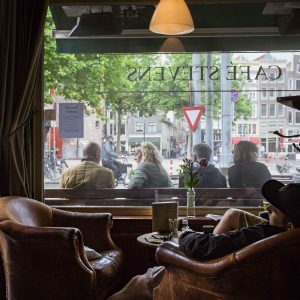 Many Dutch medical professionals still equate cannabis with dimly lit coffee shops and alleged risks of addiction and psychosis. But things are changing, Siers insists. Plantarium will continue to advocate for a solution to the current problems of small-time home growers. Social housing corporations and town mayors routinely evict home growers, even if they grow no more than five plants. On top of this threat, home growers face financial ruin from additional tax and social security claims, as well as fines from the electricity company. This year will be a busy one for Siers, who has been invited to a considerable number of cannabis conferences and events across Europe.